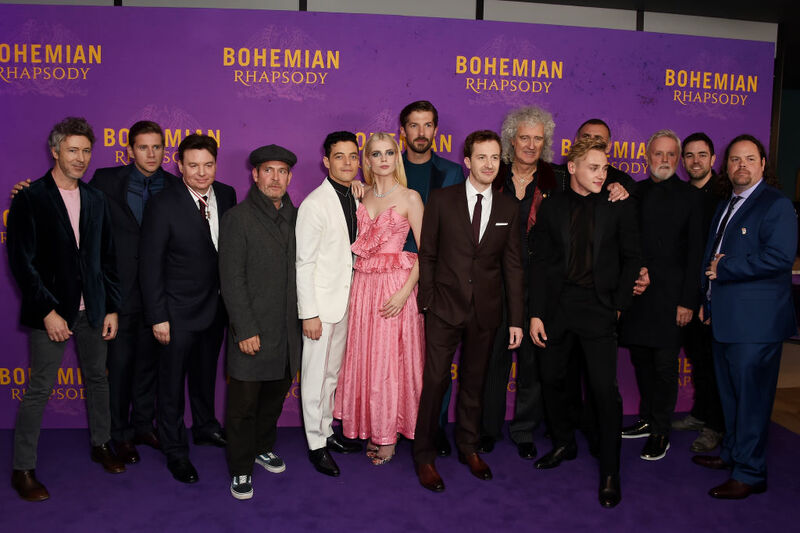 The antics behind the scenes of Bohemian Rhapsody are comparable to what actually happened behind the scenes of most Queen shows. Basically, a whole lot of drama went down. A director was fired, there were fights, lights were thrown… I guess you could say that people were behaving like rock stars. In December 2017, with less than three weeks left on the shoot, Bryan Singer requested a filming hiatus because his mother was extremely sick. Fox fired Singer and hired Dexter Fletcher to step in as director for the last two weeks of the film. According to the Directors Guild of America, only one director can be given credit for a film, and the DGA has complete control over who that will be. Even though Fletcher replaced Singer on the set before filming was completed, and was the creative mastermind behind much of the film’s vision, producer Graham King announced in June 2018 that Singer would receive the directing credit on the finished movie. Fletcher got an executive producer credit.